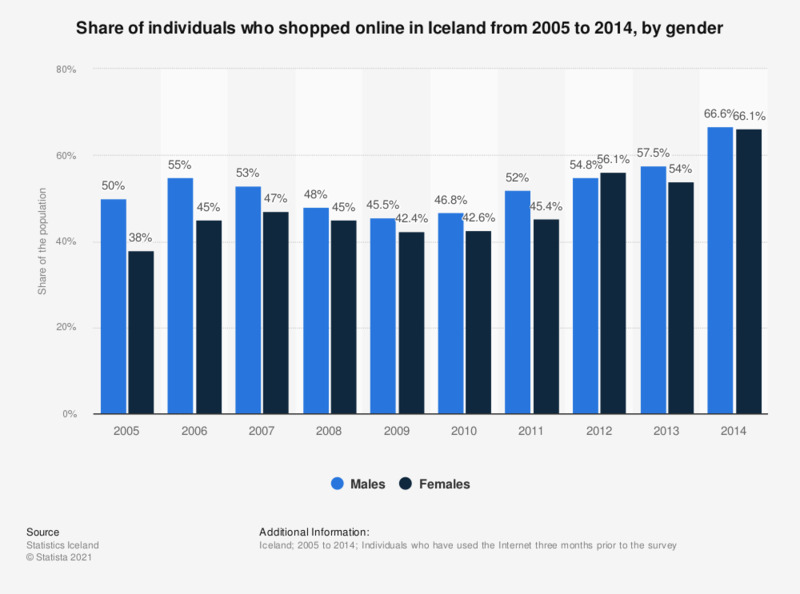 This statistic shows the share of individuals who shopped online in Iceland from 2005 to 2014, by gender. The share of online shoppers increased among both genders in this period. In 2014, about 67 percent of males and 66 percent of females have shopped online.